Marc Cerasini collaborates with his spouse Alice Alfonsi under the name Cleo Coyle to write the nationally bestselling Coffeehouse Mysteries. Alice and Marc also write the popular Haunted Bookshop Mysteries under the pen name Alice Kimberly. 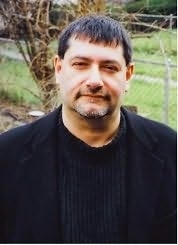 Marc Cerasini is currently considered a "single author." If one or more works are by a distinct, homonymous authors, go ahead and split the author. Marc Cerasini is composed of 6 names. You can examine and separate out names.